Sarah Hurley 365 (Formerly Sarah Hurley Challenges): It's Christmas Eve! 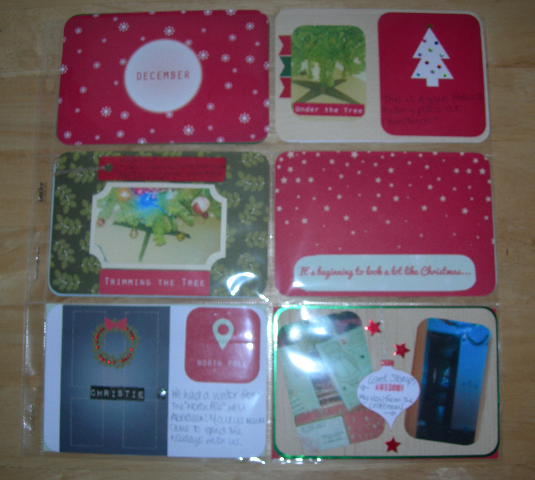 Wow, what a super quick month December has been and super busy for all of us too! Today it's me,Carol, sharing a Christmas make with you all! Rather apt with my name don't you think? 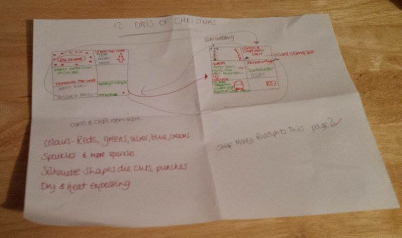 I made this PL Lay Out using the idea of the "12 Days of Christmas", as my PL Page Protector had 12 pockets. I won't go into full details of everything I did as I would be here until next Christmas lol. Unusually for me I actually wrote/drew out a wee plan as I knew I was going to be putting a lot of different things in this LO. Not a very comprehensive plan, but enough to get me started! 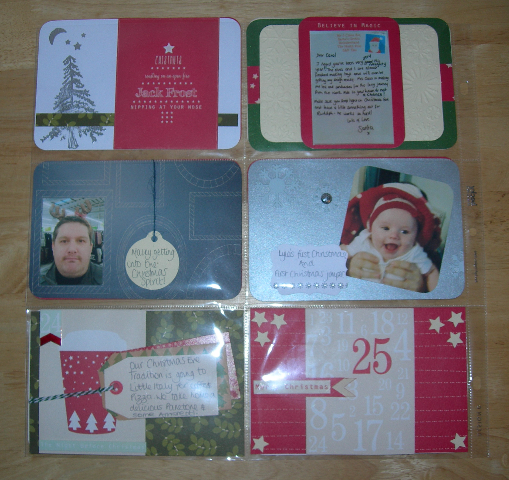 As you can see there is rather a lot of different techniques used from heat embossing to Cameo cut outs, die cutting and dry embossing. All of the papers are from last years December kit, and the stamps are all available here including the adorable Christmas Carol Doodle Doll Stamp Set. All of the Silhouette files I used are available from Sarah's Silhouette Store, the journaling cards are a must have item for us Project Lifers. I hope you have enjoyed my post today and have a magical Christmas Eve, I will be back tomorrow to share a card and say Merry Christmas. Labels: project life, Sarah Hurley 365, Sarah Hurley Silhouette Files, Sarah Hurley Stamps.